Birding Is Fun! : Eagle Fest Wisconsin! Wintertime in Wisconsin can be rough, even very rough at times, but we all look forward to the wintering birds and the excellent pictures we get. The Bluebirds and Blue Jays, the Cardinals and the sometimes hard to photograph Dark-eyed Juncos as they scurry around in the snow, but the Eagle is the one bird we all can agree we can't wait to see come down from their Summer homes in the North. 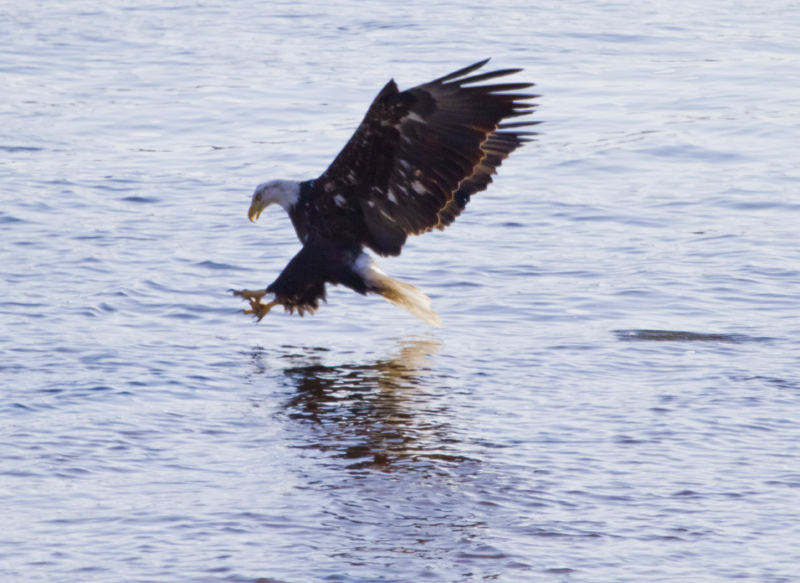 Photographers flock to the Wisconsin & Mississippi Rivers in bunches each year to watch the Eagles do their acrobatic dance over the icy water. Because of that, Eagle festivals pop up all over the place, and bring in the casual and the not so casual photographers and their families. 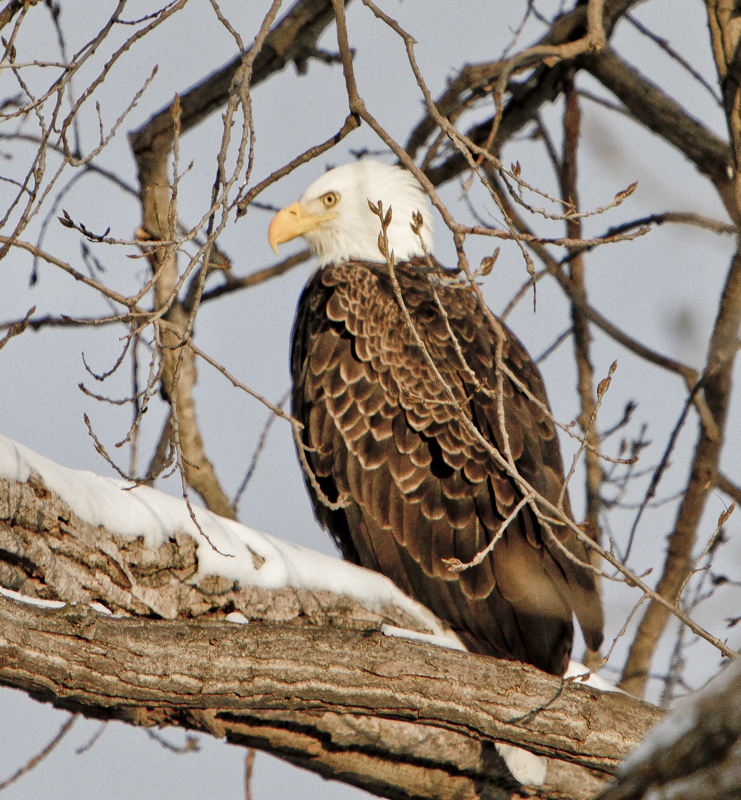 One of my favorite Eagle festivals is The Ferry Bluff Eagle Council Eagle Days, in Sauk Prairie that's normally held in early January each year. This year the event was held on January 18 & 19, 2013. Details of the event can be found here. Of course you don't have to go to a festival to enjoy Eagle watching. This time of year just head to the banks of the Wisconsin and Mississippi Rivers and wait. 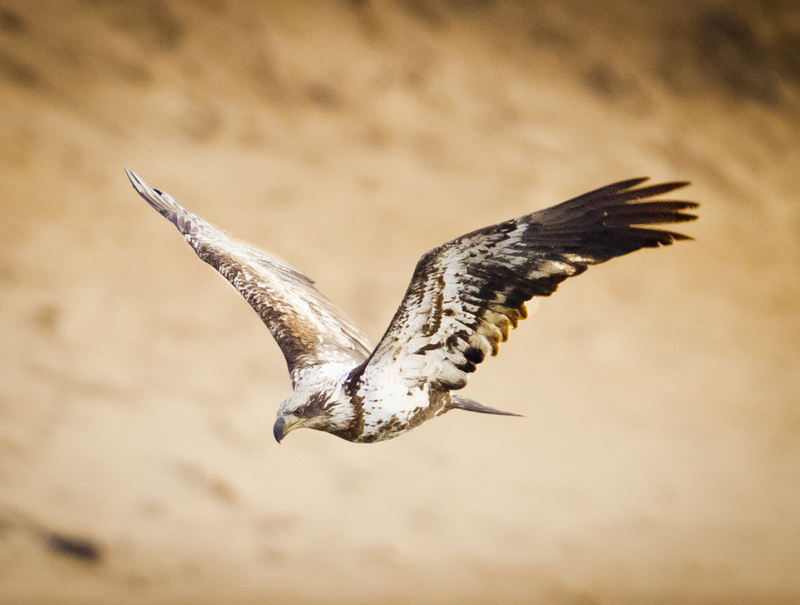 You're bound to see these avian wonders fly by. One of my favorite places is the Sauk Prairie area that encompasses the towns of Sauk City and Prairie Du Sac, off the west banks of the Wisconsin River, 30 minutes north outside of the Madison area. Bald Eagle searching for food. Another great location is the amazing Devil's Lake area, one of the most beautiful and photographed state parks in Wisconsin. Devil's Lake was originally a gorge of the Wisconsin River, and as the glacier receded it created this amazing lake. 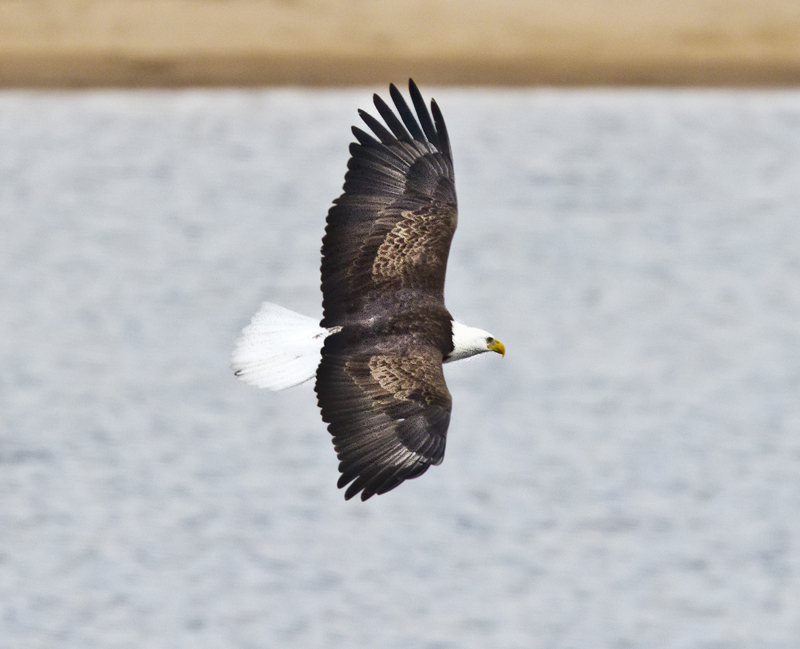 The moraine deposited hills are a perfect place to see Eagles as they soar down and try to capture fish. You will almost always see some sort of bird of prey flying over trying their luck on the lake. Well that's it for this month from the wintry state of Wisconsin. As always, if you want to see more of my work please check out my blog at Ricky L Jones Photography Blog, or you can find me at Flickr, Google Plus Facebook and please follow my Twitter at @RLJSlick. Very nice! Love the pics!!! 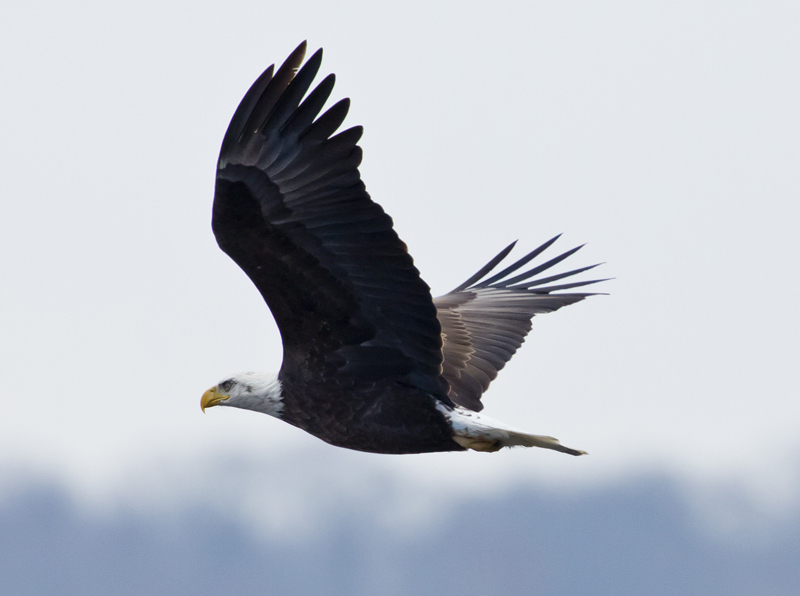 I love bald eagles and am so glad they are more abundant. I love your lovely photos of them. Hope to see one around here sometime--guess I will have to go to the river where I have heard they come sometimes. So many great shots! We have a few eagles here in central Florida but they are pretty well hidden. Everyone here keeps the nest a big secret if they find one so huge crowds don't show up. When I was a little boy scout we never saw Eagles, it's so nice that they are coming back with such a vengeance! Thank you for the kind words everyone.